The material I plan to work with in my messy garage. 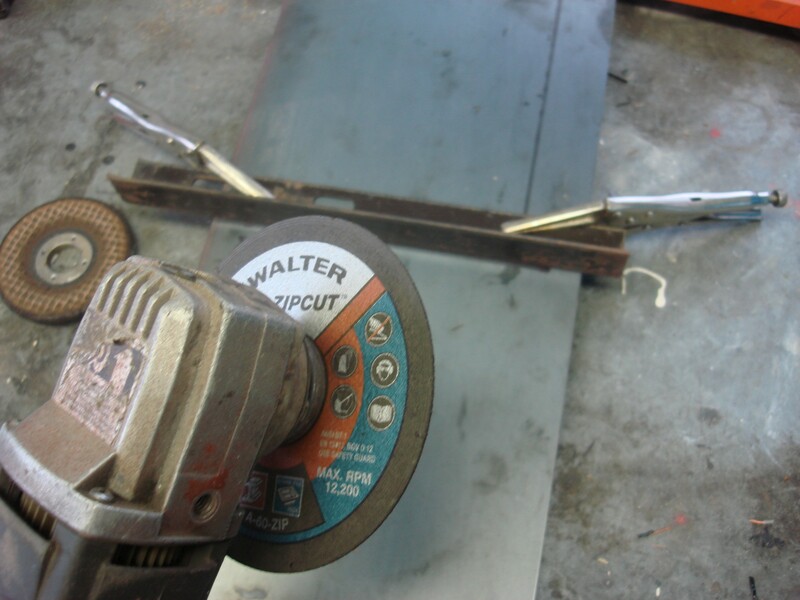 An angle grinder with a zip disk is one of the most satisfying tools for me. It’s so versatile when working with metal. 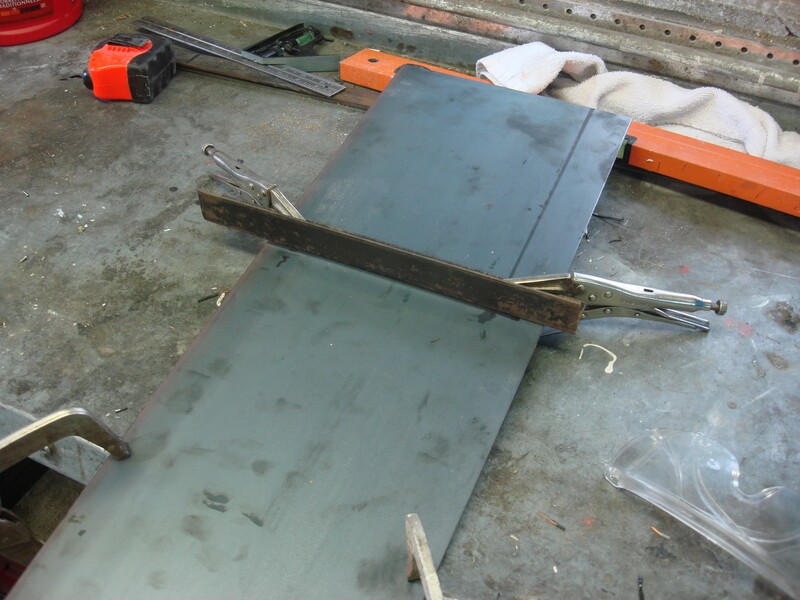 By clamping a scrap piece of angle iron onto the side needing protection, I am able to cut a very straight line with the cutting disk on the angle grinder. 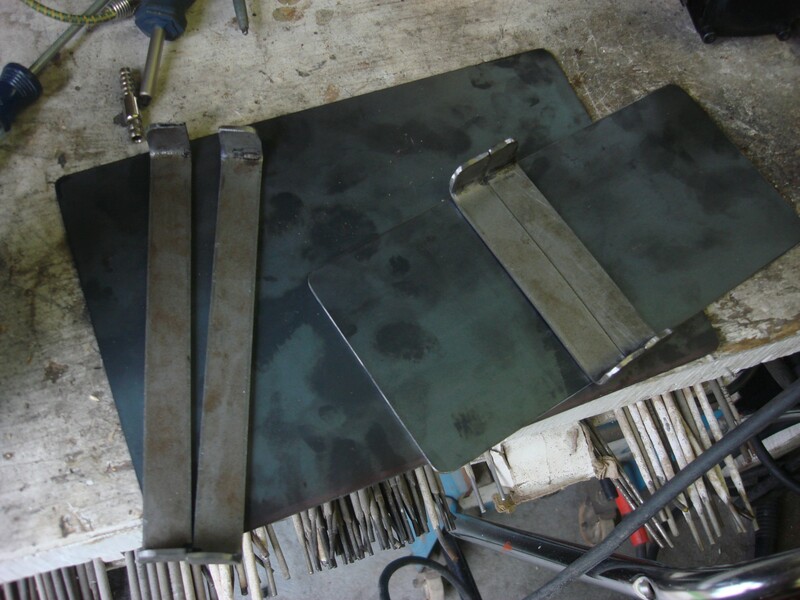 All the pieces for the two removable trays before I begin welding. The trays above are made to the exact dimensions of the satellite equipment. I’m not a huge fan of doing it that way, (what if something is replaced?) 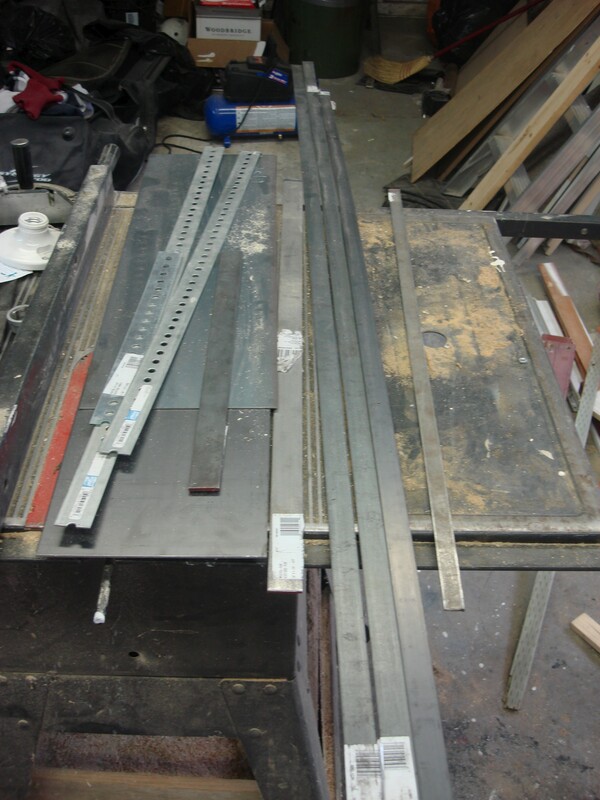 but the main purpose of this rack was to be as compact and sturdy as possible, and this is what I was asked to do. 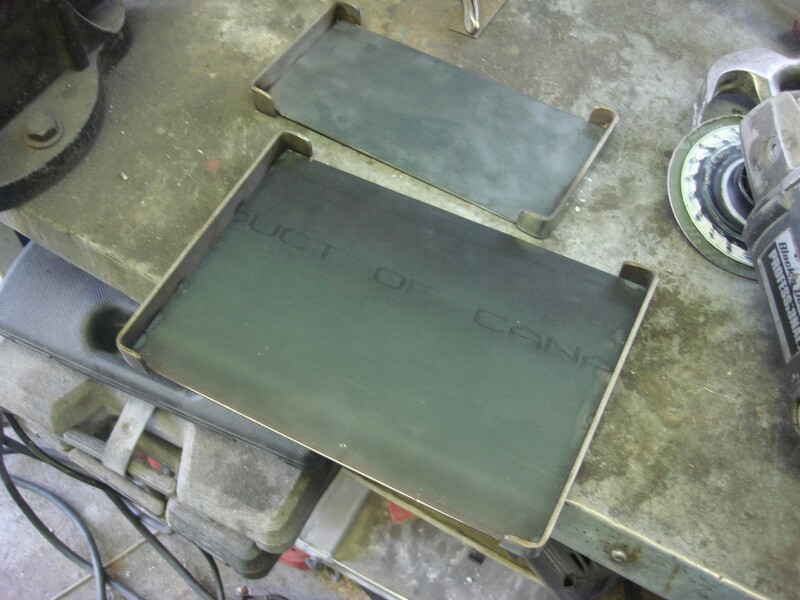 I cut the middle out to reduce the weight, and as a bonus the equipment will cool better. A big jump ahead; here is the final stand. It might be hard to tell but there is two removable racks that are fastened by thumb screws on the right side. The top mesh tray is for random stuff like remote controls, cables and whatever. The left-most compartment is for DVD’s (see last picture). It ended up being more work than I was expecting. One thing that took longer than anticipated was the top mesh tray. I just couldn’t think of how to make it sturdy and light at the same time. I pop-riveted most of the mesh onto the steel, except around the DVD compartment where I threaded small screws in. A lot of welding rods and burnt fingers went into this very little project. your welds look like bird poo. 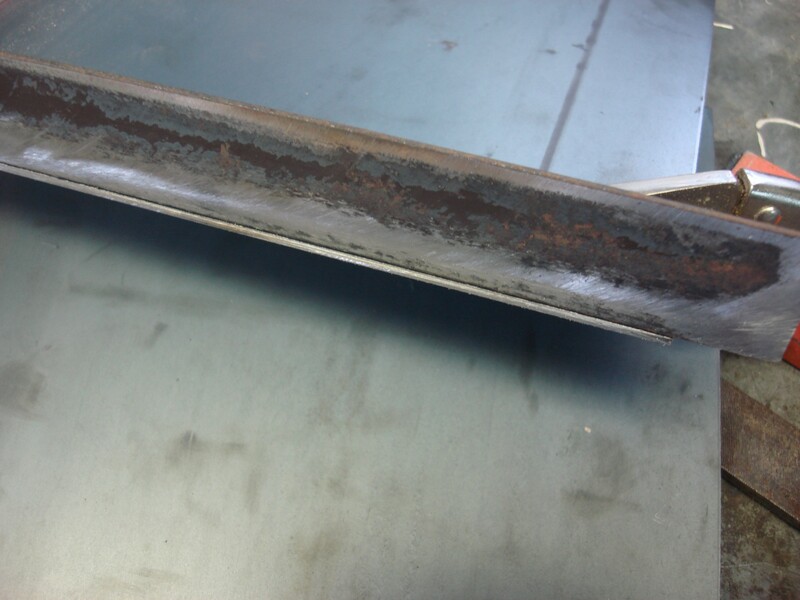 a) What weld can you even see? c) It was on my dad’s 30y/o stick welder which I have become quite used to lately. d) If you made this, well, nevermind you couldn’t.